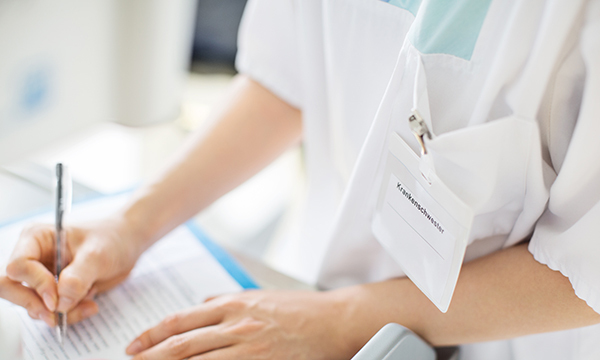 The written English language test for nurses trained outside the UK could be made easier, according to Nursing and Midwifery Council (NMC) proposals. The nurse regulator wants to change requirements for the International English Language Test System (IELTS). The NMC said a mark of 6.5 in writing in the IELTS could be accepted alongside a level 7 mark in reading, listening and speaking. Currently the IELTS requires a pass mark of level 7 in all four areas of English proficiency; writing, reading, listening and speaking. The pass mark has been criticised by NHS employers struggling to recruit nurses. NMC Council papers released by the regulator on English language requirements, state that during the regulator’s consultation on the subject it emerged level 7 in writing is ‘an unnecessary barrier’, with many nurses and midwives who take the IELTS just missing out on achieving a pass mark. NMC director of registration and revalidation Emma Broadbent said the proposed change would ‘increase flexibility for highly skilled professionals coming to the UK, without compromising safety’. The NMC's council is to consider the proposals at a meeting on 28 November.